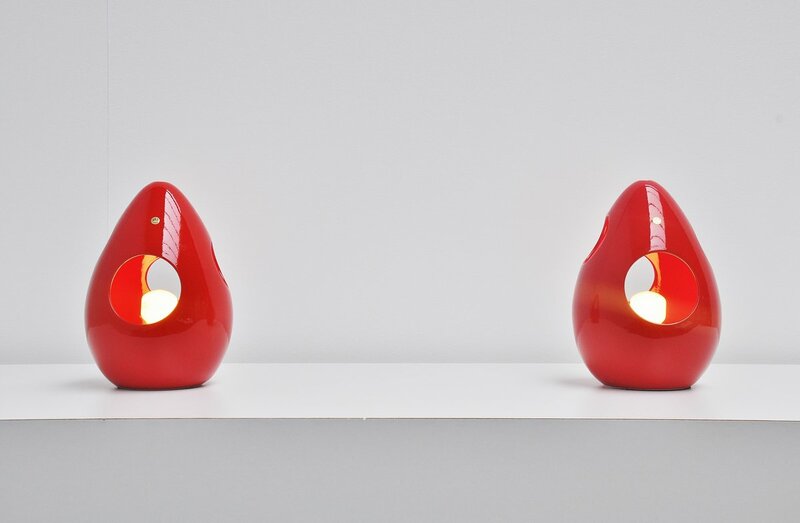 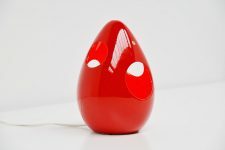 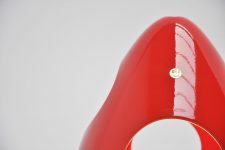 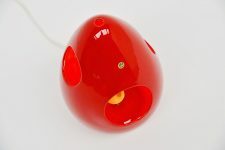 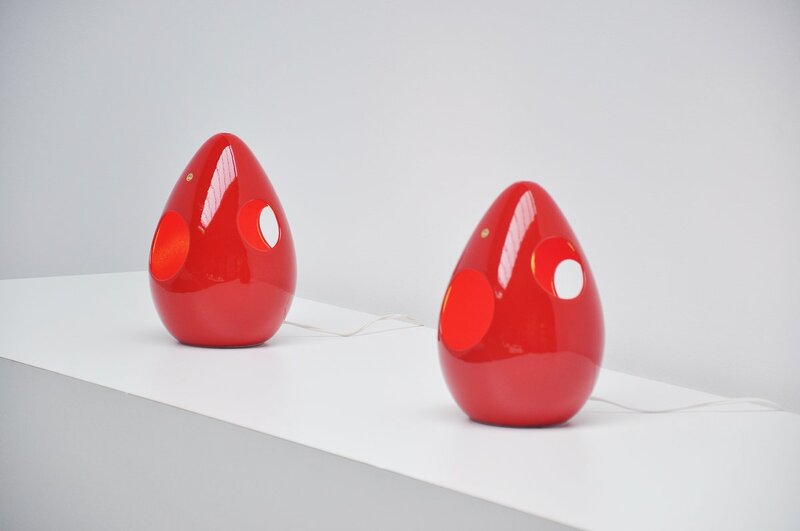 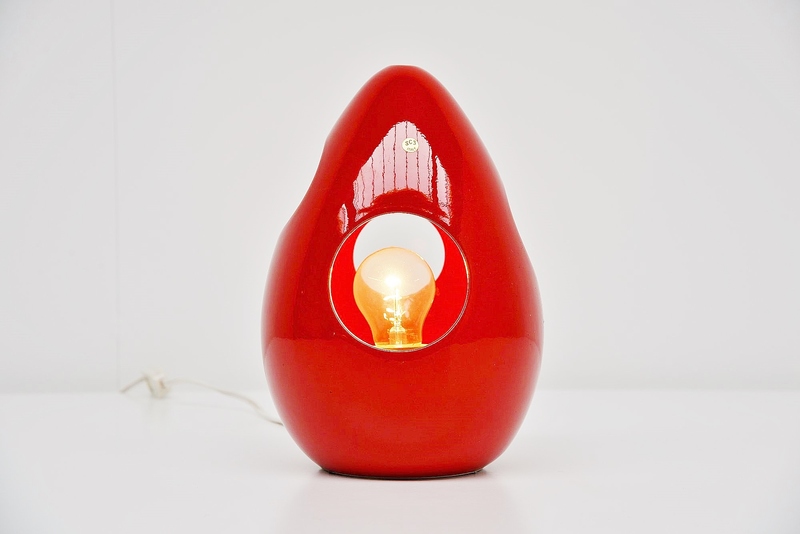 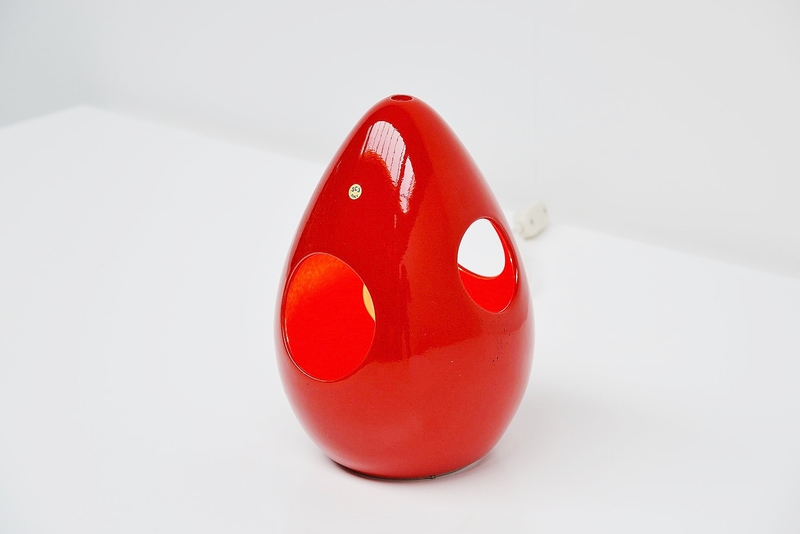 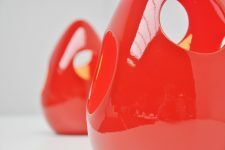 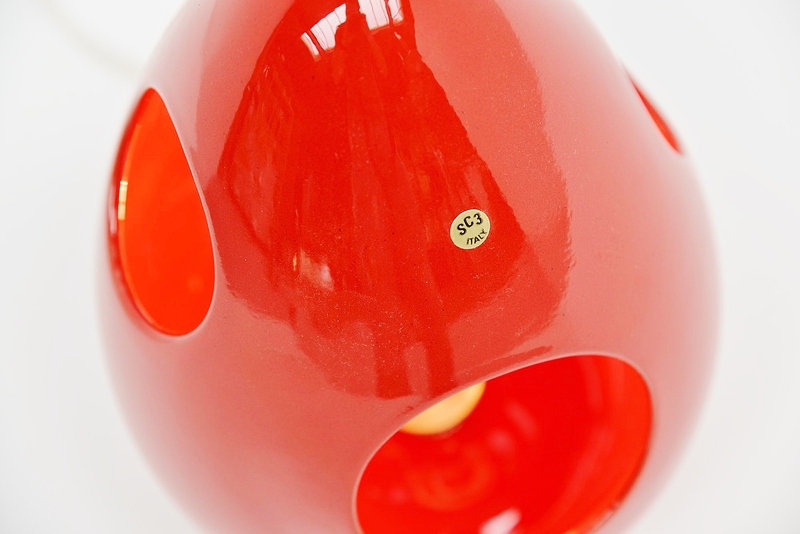 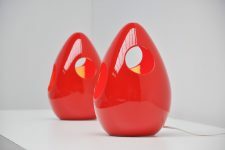 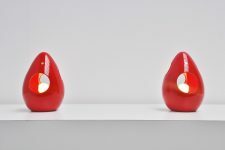 Very nice egg shaped table lamp in ceramic made by Sicart, Italy 1970. 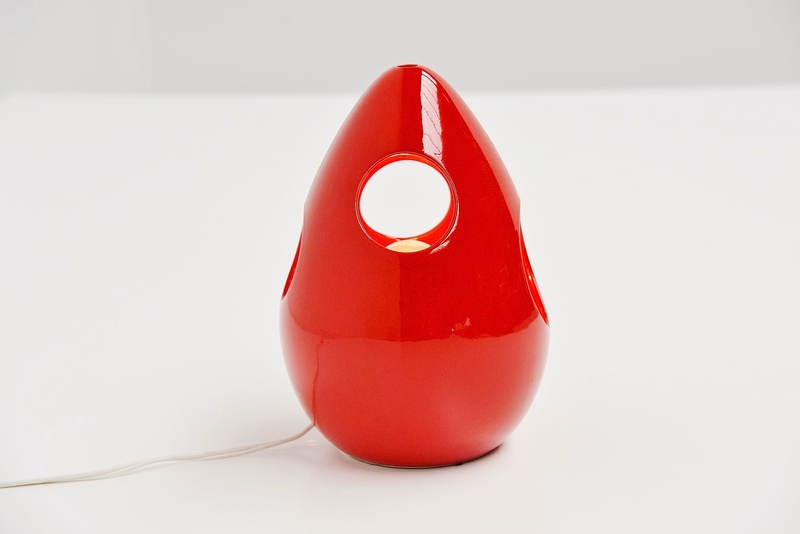 This lamp comes from an old store stock and is in excellent unused condition. 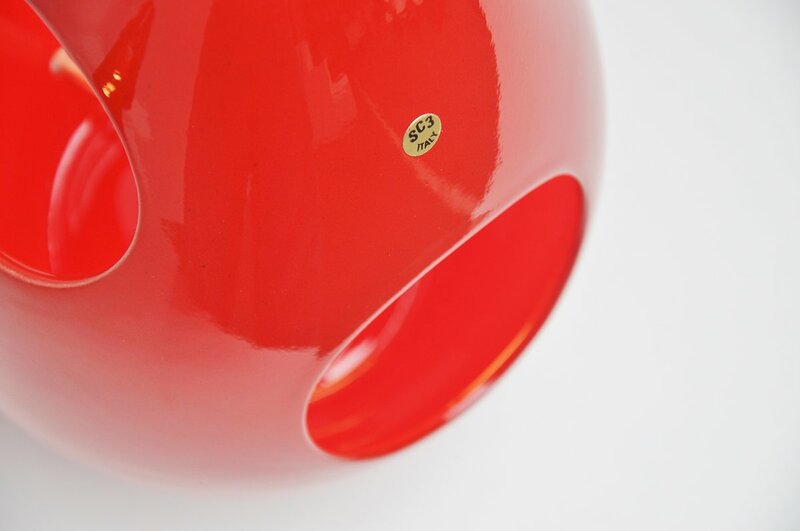 Marked with the Sicart sticker on the front. 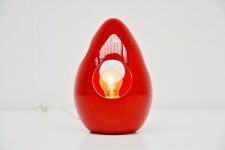 The lamp gives very nice arm light when lit and use a E27 bulb up to 60 watt each.